We’re in Dallas-Ft. Worth for Thanksgiving, which always means an evening or two spent at DFW for some plane spotting. 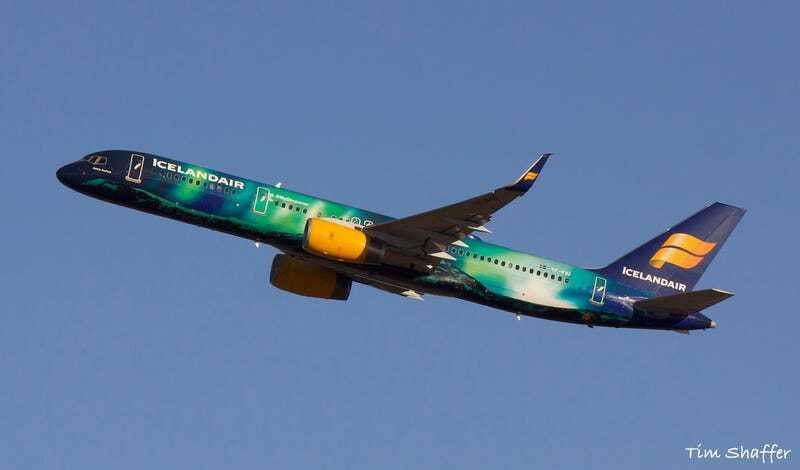 The highlight today, and one for my life list, was this absolutely stunning one-of-a-kind Icelandair 757 named Hekla Aurora that I photographed as it was departing on a flight to Reykjavik. This is a pretty Q&D edit, and I’ll have a better edit and some other interesting spots to post after I get home.